Lead chromate precipitate, 3 of 3. 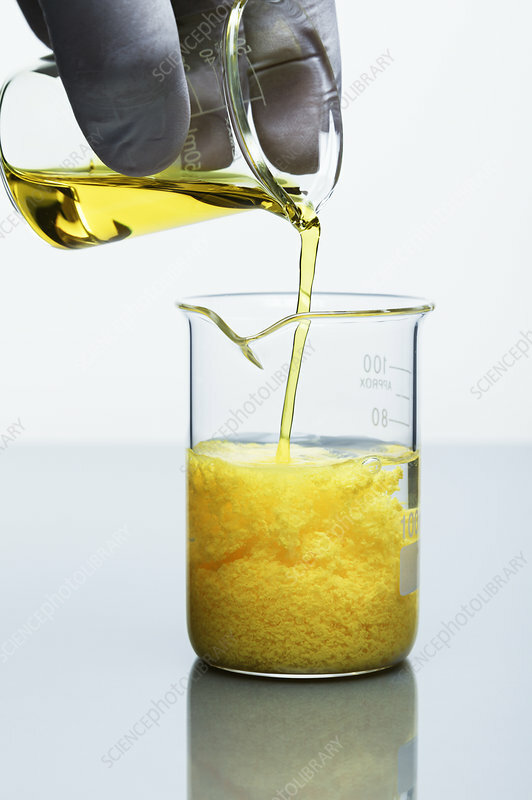 Lead(II) chromate (PbCrO4) precipitate (bright yellow) formed by adding 0.25 M solution of potassium chromate (K2CrO4) to 0.20 M solution of lead nitrate (Pb(NO3)2). The reaction is K2CrO4 + Pb(NO3)2 -> PbCrO4 + KNO3. This is an example of a double replacement reaction. Lead chromate is the original chrome yellow paint pigment.